The perfect outfit can set the tone for the perfect vacation. To make sure you don’t get caught without the right ensemble, we’ve tracked down all of the essentials. Grab a pen because it’s time to make a packing list for your next trip to one of Timbers Resorts' private residence clubs or boutique hotels! Every snow bunny needs a ski jacket that transitions from the slopes straight to après-ski cocktails. Moncler dominates in this arena as does Ralph Lauren's RLX line. Nothing keeps your feet toasty while trotting around town when you're at Dancing Bear Aspen, The Sebastian - Vail or One Steamboat Place like a pair of fur trimmed boots. From Dior to Chanel, all the major designers bring out versions for winter so there are options galore. On the slopes, pick function over form - pick a neckwarmer that fits snuggly from an activewear fabric. But, off the slopes, have fun with a fur circle scarf. A water-resistant jacket with a classic, preppy air is a necessity. A waxed field coat is a class - try a Beretta, L.L. Bean or any other company that has a history producing hunting jackets. They hit all the right style notes and are super sturdy for all your outdoor activities. Argyle, a classic pattern derived from the tartan of Clan Campbell of Argyll in Scotland, is a favorite for a day on the golf course. Where to turn is a no brainer - Pringle of Scotland. A blazer in a great menswear fabric like wool or tweed can act as outerwear during the day and as a layering piece at night. You can't go wrong with Ralph Lauren. On a cold winter day at Dancing Bear Aspen, Timbers Bachelor Gulch, The Timbers Club, One Steamboat Place or The Sebastian - Vail, mittens are an essential. They’re warmer than gloves - and cuter - so is it any wonder that we’re smitten for mittens?! Pick up one of these Timbers Resorts favorites for the whole family. Get Sporty: Dad will love getting into the Olympic spirit with the U.S. Olympic Team’s Go USA Knit Mittens. With “Go” across the right palm and “USA” across the left, you’ll be ready to cheer on the Olympians in style. Get Flexible: Moms love mittens but they can’t afford to not have their fingers available for zipping kids’ coats. That’s why a pair of mittens that convert into fingerless gloves, like these Plush Scandinavian Texting Mittens, are mom’s best friend. Get Cute: There’s nothing more adorable for little girls than over-the-top cuteness like these Hatley Fuzzy Cat Mittens with a matching hat. Don’t forget practicality too. Adjustable wrist clips make sure these mittens won’t get lost in the snow. Get Goofy: Little boys spend enough time acting like little monkeys that they may as well advertise it. Try these Monkey Hat and Mittens from Carter’s Kids Accessories on for size that also come in a raccoon version. As a bonus, this is the time in the winter season when mittens go on sale so scoop them up for a steal and you can be smitten for mittens too! It’s almost film’s most glamorous night of the year, the 86th annual Academy Awards, which take place on Sunday, March 2, 2014! For the Oscar nominees, past winners and presenters, there's no better place to be that night than in Hollywood for the show. For those of us not in that category, Timbers Resorts recommends spending the evening with us or at one of our partners' parties, all listed below. As for the awards, if you haven’t been keeping up on the Oscars race, let us fill you in. First of all, Ellen Degeneres is returning as host for a second time after hosting in 2007. The family-friendly comedian is a master at bringing the laughs without offending A-listers so count on some good clean fun. The red carpet has had some break out stars this awards season, notably fashion’s newest darling Lupita Nyong’o. Amy Adams, Jared Leto, Cate Blanchett and Jennifer Lawrence have been making a splash as well and are all in the running for big awards so be on the look out for some major sartorial statements worth of a winner. All of these stars are invited to the Secret Room Events Red Carpet Lounge at The Montage Beverly Hills the day prior to Oscar night. Timbers Resorts will be among the sponsors of this special salon where this year's nominees and presenters, along with past winners, will be invited to receive special invitations and gifts. Moving onto the awards themselves, American Hustle, Dallas Buyers Club and 12 Years a Slave are heavily favored in the Best Actor in a Leading Role, Best Actress in a Supporting Role and Best Actor in a Supporting Role categories and one of the three is likely to take home Best Picture. Others favored include Alfonso Cuaron as Best Director for Gravity and Cate Blanchett for Best Actress in a Leading Role for Blue Jasmine. Timbers Resorts properties are loaded with great places to view the festivities with a glass of champagne and savory bites. The private screening room at Dancing Bear Aspen, The Library at The Sebastian - Vail and the Gathering Room at One Steamboat Place are a few of the top hot spots with flat screens and surround sound. Or else allow your concierge to arrange a viewing party in your residence with plenty of bubbly and delicious fare. 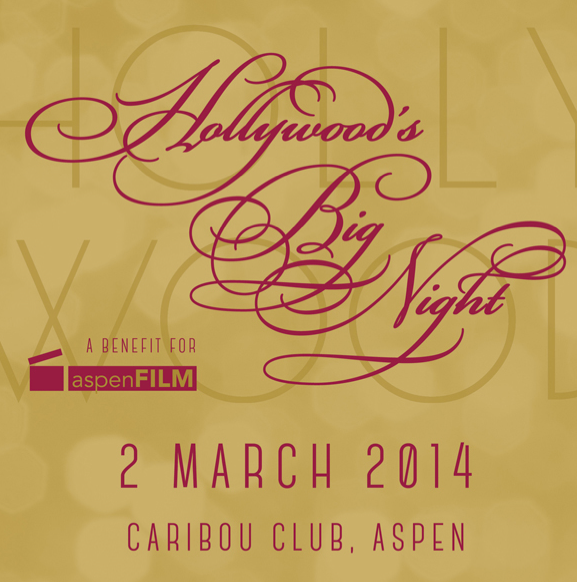 Or if you're destined for a fancy affair such as "Hollywood's Big Night" at The Caribou Club presented by Aspen Film, get in the spirit with a glamorous gown. Didn’t pack one? No problem! Rent the Runway will send one right to you. Family rivalry. A little competition. Playing our way to deeper connections with friends and loved ones. These are all part of the dynamics that make our vacations so valuable to us. And at Timbers Resorts, the power of play is at the core of the experiences our Owners enjoy. Whether you're hitting the lifts and slopes at Dancing Bear Aspen, taking to the rolling greens of wine country at The Orchard at the Carneros Inn, or heading down to the gentle waves of St. Thomas at The Preserve at Botany Bay, games are not only part of vacation, they're what help restore us along the way. With that in mind, check out this shortlist of ideas for your downtime activities, some old standbys and some new ideas alike. Snow-play: NASTAR Ski Racing: A day of fresh powder at The Sebastian - Vail or One Steamboat Place is elevated to a race for personal bests — and a bit of friendly one-upmanship — when it's built around the NASTAR system. The largest public grassroots ski-race program in the world, the way NASTAR works is that friends and family sign up at the organization's website and then start logging times and daily race results. You get tracked and ranked with others in your sport. Pull off an outstanding performance? If your record gets good enough, it can lead to invitations to NASTAR's national events. Beach Fun: Games in the Sun: Setting up a net and drawing a volleyball court in the sand has been the start of many a classic seashore day. Form your teams and get serving to see who's going to be the first to overshoot or miss the ball. Keep score, and the winner gets dinner on the defeated team's tab! Check out this how-to video for all the rules of volleyball. And with all that sand, your sun-soaked spot at Kapalua Bay or Esperanza - Cabo San Lucas becomes the perfect place for bocce. Rack up your points by getting your side's ball closest to the target ball. The World Bocce League provides all the rules at their website. Parks and Recreation: You don't have to travel more than a couple steps outside your front door. It takes little more than everybody's favorite flying disc to turn an afternoon on a stretch of wide green grass into a bit of good-natured sport. How about a pickup round of Ultimate? The game combines a Frisbee (or any flying disc) with some fairly familiar rules — think American football. Teams try to complete a pass in the opposite side's end zone. You can get the whole game down with these 10 simple steps. Taking Your Game Indoors: Finally, you might decide the best way to spend the day is to gather the kids and some friends around the dining room table for a game or two. Here are two that you might not have caught when they first made a splash. In Chronology, a fantastic choice for the multi-generational afternoon, you draw cards describing different historical events and try to line them up in the correct sequence that they occurred. Get five correctly in chronological order to win. Our second pick is the perfect pickup for Owners and guests at our wine-country luxury fractional properties: it's Viticulture. In this card-based game, each player "runs" a vineyard. Manage money, employees, the grapes — and, of course, the wine. First player to 20 points wins. Whatever your version of play, our concierges are on hand to help arrange equipment and locations for your next bit of competition — whether it's racing the slopes or stoking the fireplace and settling in for an evening of tabletop fun. Game on! Aspen is so much more than a ski and sports destination. 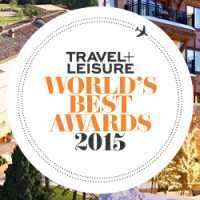 As Owners at Dancing Bear Aspen already know, this international epicenter reigns supreme both on and off the slopes. Case and point is Aspen International Fashion Week, running from March 13 through March 16, 2014, and Dancing Bear Aspen gets you close to all the action. Just steps from these Aspen luxury vacation homes, each of the signature event venues will showcase the latest lines to wear on-piste or at the lodge. The Après-Ski Stage, presided over by pro skier and founder of BARE Layers, Darcy Conover, will be hosting runway shows for some of the biggest names in outerwear, performance skiwear and luxury fur. Fur is a must for making a sartorial statement in Aspen so it should come as no surprise that AIFW’s most hotly anticipated show is from legendary furrier and longtime Aspen devotee Dennis Basso. Basso kicks off AIFW but the great shows keep on coming with Columbia, Obermeyer, Gorski Furs, PolarMax and more. In the evenings, engage in some retail therapy by attending Shop Aspen events hosted by J. Crew, Dennis Basso, Kate Spade and L’Occitane among others. Finally, a who’s who of Aspen will be in attendance for AIFW’s closing event – the Black & White Ball at the Caribou Club benefiting St. Jude Children’s Research Hospital. Get into your most glamorous get-up for this masquerade-themed party à la Truman Capote where the fashion keeps on coming. See collections from One Moon, Jitrois and Pilar Tarrau while enjoying Champagne and canapés and bidding in the silent auction for a great cause. Worried about getting access to this can’t-miss event? Don’t be! Visit the AIFW website for a ticket and get your most runway-side attire ready for a high fashion excursion. We’ll see you there! This summer, and for the next year, a new phase begins at Dancing Bear Aspen. Celebrated architects will begin a new work. Industry renowned interior designers will engage a new space. And one of the jewels of Timbers Resorts' high-country getaways is about to get a new facet. Prepare for Dancing Bear Aspen's new Mountainside retreat, slated for a summer 2015 completion date. Within the next 12 months, the face of the luxury fractional home lifestyle for which Dancing Bear Aspen is already known — nestled into these mountains alongside world-class skiing and the summertime outdoors — will evolve. A brand new reception area in the tradition of Dancing Bear Aspen's artful and accommodating common spaces. One penthouse residence (4 bedrooms; 4.5 baths), measuring some 3,900 interior square feet and 2,700 exterior. 10 corner residences (3 bedrooms; 3.5 baths). Average size: 1,814 square feet. A sumptuous spa, featuring a grotto and a steam room. A private ski locker room. 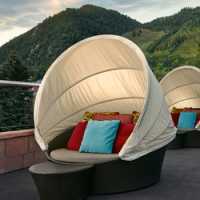 Owners and guests will be welcome to use all of the amenities that the original Dancing Bear Aspen Parkside setting boasts — including a private screening room, game rooms, wine cellar, fitness center, owner storage facilities, and a rooftop lounge with a breakfast bar, hot tubs, and fire pits. As always, ownership through the Private Residence Club grants year-round access to your home in Aspen, as well as the ability to trade places and travel to Timbers Resorts destinations worldwide through the Timbers Reciprocity Program. We're looking forward to the newest member of the Dancing Bear Aspen family, and we can't wait to discover all the new opportunities it'll offer. Until then, we'll see you on the trails this summer, and on the slopes this winter. And next year, we'll see you at Dancing Bear Aspen Mountainside. Every year, on the cusp of summer, we set aside two days to celebrate the people who made us: Mom and Dad. And every year, at Timbers Resorts, many of our Owners and guests find fresh ways to renew their appreciation of just those folks by celebrating at our luxury fractional homes. It's Mother's Day and Father's Day, this month and next. While you spend your weekends with family, let's look back at where the holidays go their start, and at how you can celebrate, here, on a pair of special Sundays. The holidays we share as Mother's and Father's Day have origins, in some cases spanning centuries. Mother's Day: From early Greek and Roman history, when celebrants held festivals connected to mother goddesses, all the way to 1868, when Ann Reeves Jarvis started a day honoring mothers that brought former Union and former Confederate moms together, precursors for Mother's Day abound. The key moment was in 1905, when Jarvis' daughter started the first Mother's Day as we know it … to recognize the sacrifices that mothers make for their kids. Father's Day: It was in the state of Washington, in 1909, that Sonora Smart Dodd first lobbied for a Mother's Day equivalent. She wanted to honor her father, who raised her and her five siblings on his own. She got the holiday passed in Washington, DC., in 1910. In 1972, the U.S. government made it an official day throughout the whole country. At Timbers Resorts, mothers and fathers are equally special, and both represent a reason to celebrate. 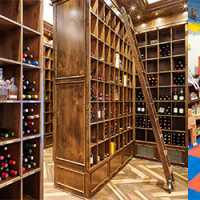 If you're looking for some ideas this May 11 and June 15, check out these options, touching on just a few of our properties. Brunch at The Sebastian. Step into the mountain-inspired culinary world that is the Leonora bistro, starting your special day with brunch. You could even set aside the private dining room for a larger family event. Spa treatments at Castello di Casole. Why not make the day about a chance to rejuvenate? From classic massages to a pedicure accompanied by a glass of wine, moms or dads are certain to leave Essere with a fresh perspective on their day. Picnic at One Steamboat Place. If you're thinking about a bit of al fresco dining, have The Truffle Pig's culinary experts craft the perfect picnic basket for your Mother's or Father's Day spread. Private outing at The Preserve at Botany Bay. Maybe it's a day of sailing, paddle boarding or snorkeling. The team on property can set up a private day for mom and dad to remember. However you spend Mother's Day and Father's Day, we invite you to spend it with us. Play, relax … and wine and dine the important people who got you here in the first place. Timbers Resorts is ready to help make your holiday special for the whole family. It's been called a game-changer for Denver. At a price tag of nearly $500 million, the renovation of Union Station in Colorado's capital not only returns a sense of history and style to an important railway center, it creates a new hub for Denver's lovers of culture and the past. Owners and guests at Timbers Resorts' five Colorado properties certainly appreciate both of those elements. And so, whether you're skiing at Dancing Bear and The Sebastian - Vail, or hiking from The Timbers Club in Snowmass — or casting a line in the waters around Timbers Bachelor Gulch and One Steamboat Place — this is the perfect moment to connect with a historic structure that is now rejoining a family of American "Union" train terminals. Witness the rebirth of Union Station as it reopens to architectural and popular accolades. Let's look at the story of the grand place, noting some highlights from its past and present. Union Station united what had been Denver's four train depots, opening as a single structure in 1881. The station burned in 1894, was rebuilt, and was then largely demolished and rebuilt again from 1912–14. This reconstruction introduced the French influence of the Beaux-Arts architectural style to the site. The current renovation began in 2011, with the station slated for a July 2014 historic reopening celebration. Once a year, the Cheyenne Frontier Days train runs by steam engine between Union Station and Cheyenne, Wyoming, bringing passengers to and from the Frontier Days Rodeo. The new Union Station will be crowned by a 112-room hotel, and its interior will feature nearly one dozen restaurants and shops. The main hall has been designed for event-level acoustics — intended to be a kind of "urban living room" — complete with sound system. This is the year to see an old, majestic site get a new lease on a long and well-deserved life. Next time you're passing through Denver, see what Union Station has become.